Created in 2001 by students in theatre at the University of Brighton, Ragroof Theatre is a theatre company that specialises in site-specific and outdoor performances. 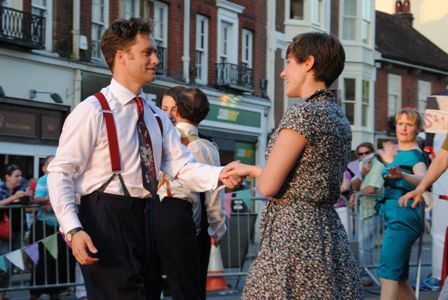 Ragroof Theatre was funded in 2004 by Arts Council South East to produce Make Do and Mend and The Button Museum, a site-specific show accompanied by an installation based on local older people’s memories about life in the 1940s. Make Do and Mend established Ragroof’s research process, using reminiscence as a major tool and starting point for storytelling. Ragroof have also developed a passion for bringing together of multi-generational communities through dance performances.